Gulfton is a community of single-family homes and townhome complexes in Southwest Houston, just outside the Inner Loop. Gulfton is a largely residential neighborhood in Southwest Houston, just off the 610 Loop and beside the affluent Bellaire, one of Houston’s most popular neighborhoods. Gulfton had a reputation for bad master-planning and development during the ’70s and ’80s mainly due to its enormous blocks of warehouse-style apartments. However, the neighborhood is on the rise due to its location, affordability, and recent commercial development in the area. EXCELLENT LOCATION: Downtown Houston is about 10 miles away, while Westchase is about 6 miles west of Gulfton. 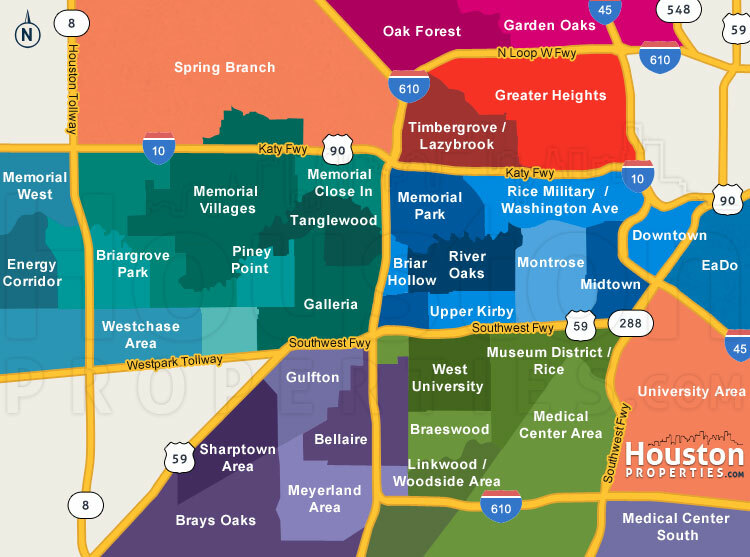 The upscale retail shops of The Galleria are less than 3 miles north of the neighborhood, while the Meyerland Plaza is a few minutes south. RECENT COMMUNITY DEVELOPMENT: Gulfton features its own community center – the Baker-Ripley Neighborhood Center. Built in 2010, the center houses a gym, a community garden, an elementary school and a tax center. GOOD COMMUTE TO INNER LOOP: The community features convenient access to main roads and thoroughfares including the 610 Loop, Beltway 8, and Westpark Tollway. It runs south of Interstate 69, east of Hillcroft Avenue, and north of Bissonnet Street. AFFORDABILITY: Gulfton Houston is one of the more established neighborhoods in Houston having been around since the 1970s. Many of Gulfton homes for sale relatively cost less than homes in nearby communities inside the Inner Loop. PROXIMITY TO OUTDOOR RECREATION: Gulfton residents are near Memorial Park, the largest urban park in the country. It is also near the hike and bike trails of Brays Bayou and the Sharpstown Country Club. 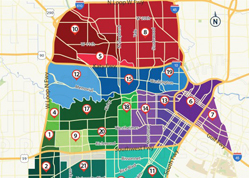 DIVERSE HOUSING OPTIONS: Gulfton offers single-family homes, townhomes, and condos. These range in style from beautiful vintage ranch-style and contemporary single-family homes to affordable townhomes. Gulfton real estate can be challenging to navigate due to the number of older, under-developed properties in the area. Homebuyers can realty benefit from the assistance of a top Houston realtor familiar with the Gulfton real estate market. I am interested in Gulfton and would like to get more details. 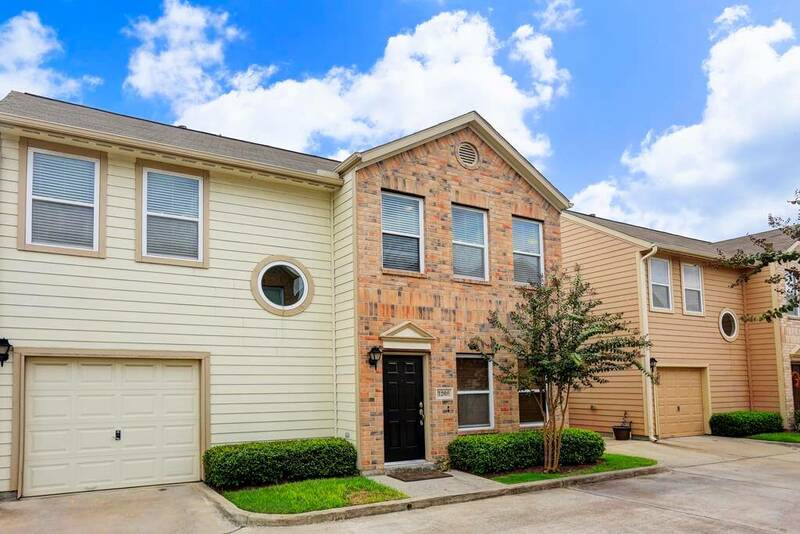 Gulfton is a community of single-family homes, townhomes, and condos located just outside the 610 Loop, close to the affluent neighborhood of Bellaire. Gulfton is one of the older neighborhoods in Southwest Houston having had homes developed during the oil boom in the 1970s. The neighborhood runs south of Interstate 69, west of the 610 Loop, east of Hillcroft Avenue, and north of Bissonnet Street. Major employment hubs, blue ribbon schools, cultural and entertainment centers are also an easy drive from Gulfton homes for sale. Downtown Houston is about 10 miles away, while Westchase is about 6 miles west of the neighborhood. The upscale shops of The Galleria are less than 3 miles north of the neighborhood, while the Meyerland Plaza is a few minutes south. Gulfton homes are tucked just outside of the Inner Loop area, providing residents with access to parks and outdoor recreation, such as the Burnett Bayland Park, Bayland Park, and Sharpstown Country Club. The hike and bike trails of Brays Bayou are located south of the neighborhood and the 1,466-acre Memorial Park is about 15 minutes from Gulfton Houston. The neighborhood is zoned to the Houston ISD and is serviced by Cunningham Elementary School, Long Academy, and Lee High School. Gulfton features a wide variety of home options, from vintage ranch-style and contemporary two-story single family homes to well-maintained townhomes. Homes in the area typically feature single-story floor plans and two bedrooms, with larger properties featuring three stories of living space with up to four bedrooms and three baths. Prices for Gulfton homes for sale can start at around $140,000 and can go as high as $550,000. Townhome units for sale start at around $40,000. Gulfton homes are zoned to Houston Independent School District (HISD), a district rated by the Texas Education Agency as “Met Standards”. HISD is the largest school district in Texas, and the seventh largest in the United States. It has 283 schools educating more than 200,000 students. The district offers three specialized programs, namely vanguard, magnet, and neighborhood vanguard. *Note: For a more detailed guide to schools zoned to Gulfton Houston homes, check our Houston’s Best Schools OR email me at Paige@HoustonProperties.com. Paige works with a tremendous number of buyers and sellers within Gulfton, earning praises like “Paige Martin is the best Gulfton realtor I know.” Read more about client feedback and ratings here.